When Disney bought 21st Century Fox’s movie and television assets for $71.3 billion, it came with a caveat from the Department of Justice to divest the 22 regional sports networks (RSNs) that came as part of the deal. That lucrative collection of networks was expected to fetch upwards of $15 t0 $25 billion if all 22 were sold together. Suitors ran the gamut from Comcast to Sinclair to Amazon to Fox, who was apparently considering buying back the RSNs. Last week we even found out an investment group fronted by Ice Cube and LL Cool J was throwing their hat in the ring. However, there was also the real possibility that the networks could be broken up and sold piecemeal. That was considered especially true when it came to the crown jewel of the deal: YES. Our own Andrew Bucholtz recently speculated as much, noting that the Yankees reportedly have a buyback option after selling it to Fox. That is apparently going to happen, according to Bloomberg. They’re reporting that the Yankees have made their intentions clear to Disney and Fox that they plan to re-acquire the network that broadcasts most of their games. The entity that previously owned YES, Yankee Global Enterprises, owned both the franchise and the network separately. 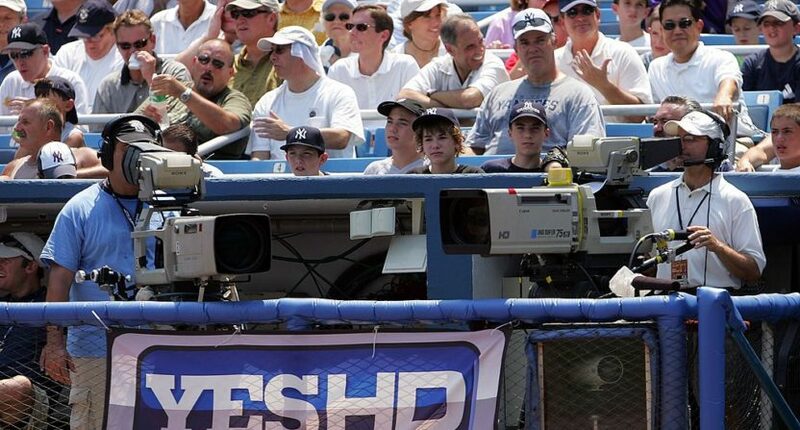 While the Yankees themselves did not own the network, they received a rights fee for broadcasts. In 2012, NewsCorp bought 49 percent ownership in the network, making them the majority owner. As part of the arrangement, the Yankees agreed to keep their games on YES through 2041. NewsCorp’s interest in the network transferred to 21st Century Fox in 2013. In 2014, the company purchased an additional 31 percent share of YES, effectively making it the owner of the network until the recent Disney deal. YGS still has a 20 percent ownership stake in the network. According to Bloomberg, the deal that the Yankees had with Fox in the event of a sale calls for the team to pay fair-market value to re-acquire the network. Considering that YES is expected to fetch at least $5 billion on its own, the franchise has lined up outside investors to help them out on the deal. This likely helps explain why Comcast and Fox, the two biggest and most likely bidders for the RSNS, have yet to put up an offer as of it. Given how much value YES added to the bundle, it’s removal from the package has a huge impact on the overall worth. It’s possible we could see more networks get sold off piecemeal, or this specific deal could be the only one out of the bundle and the other 21 get packaged up.